Weatherboarded and all timber framed except for the wheel house. Photographs dated to mid 1960s from written date on one and other evidence on the web. 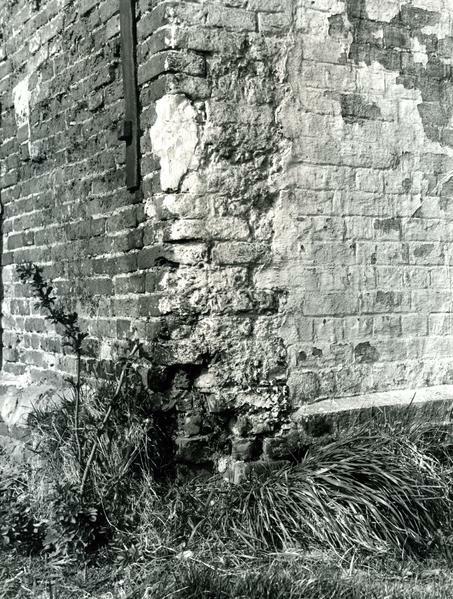 Photograph shows damage to brickwork on a corner of the building.